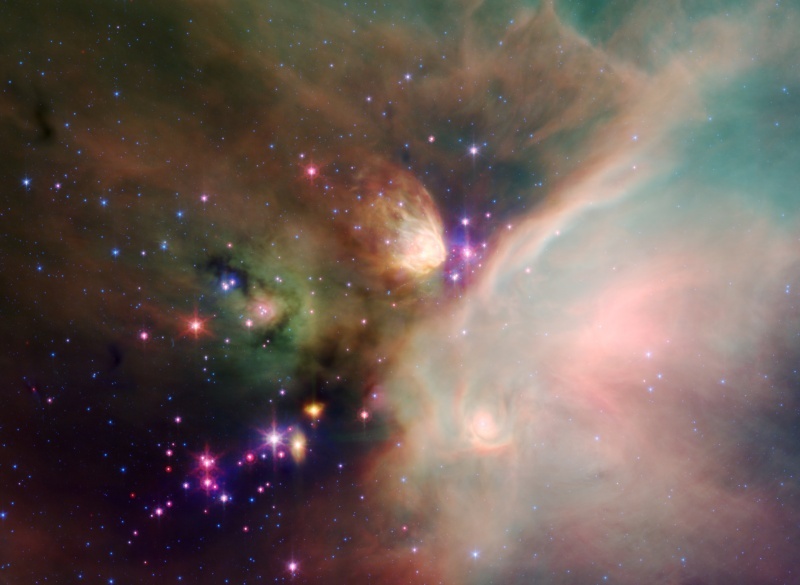 Explanation: Cosmic dust clouds and embedded newborn stars glow at infrared wavelengths in this tantalizing false-color view from the Spitzer Space Telescope. 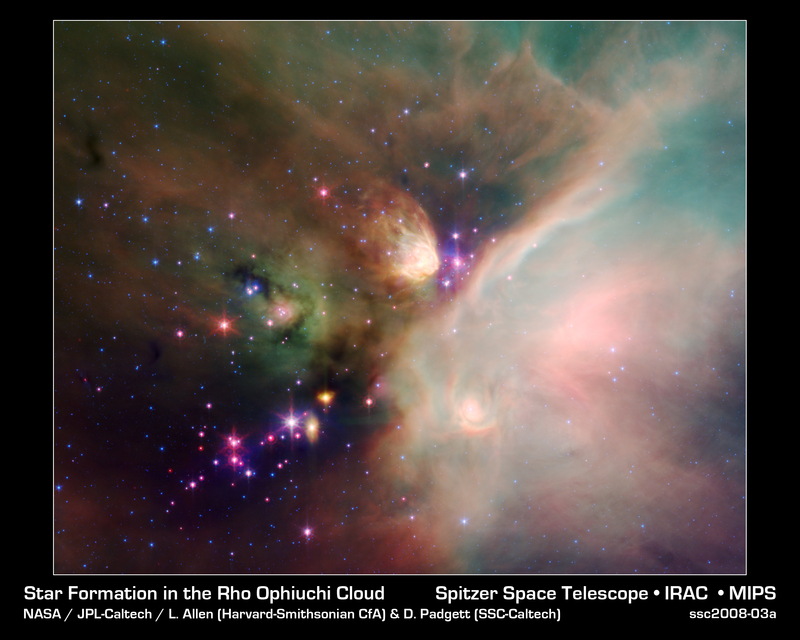 Pictured is of one of the closest star forming regions, part of the Rho Ophiuchi cloud complex some 400 light-years distant near the southern edge of the pronounceable constellation Ophiuchus. The view spans about 5 light-years at that estimated distance. After forming along a large cloud of cold molecular hydrogen gas, newborn stars heat the surrounding dust to produce the infrared glow. An exploration of the region in penetrating infrared light has detected some 300 emerging and newly formed stars whose average age is estimated to be a mere 300,000 years -- extremely young compared to the Sun's age of 5 billion years.